Drinks are an important part of the everyday diet and various ceremonies and customs. They serve not only to quench the thirst, but also for cooking food. Drinks are distinguished by the raw materials, from which they are made, by technology, cooking, age, etc. They can be classified as follows: non-alcoholic, low-alcohol and alcoholic. And all of these types of drinks are inseparable from the nutrition system, inherent to a particular ethnic group. The most common cold non-alcoholic drinks in Moldova are water, milk, dairy products, fruit drinks and juices, and tea and coffee among the hot drinks. Traditional beverages with low alcohol content are must, kvass, braga, cherry brandy (vishinata), raspberry liqueur (zmeurata). They are manufactured, as well as homemade. One of the oldest beverages is vishinata, brandy made from wild and home fruits and berries. Fruits and berries (cherries, raspberries, gooseberries, etc.) are put into bottle, some sugar is added, and some time is given for fermentation, then alcohol is poured into the bottle to stop fermentation and to increase the strength. Brandy is usually used during feasts; also it may be used as a medicine. Another drink used in the old days is mead. It had been made in Moldova up to the XVIII century. Liquid honey is dissolved in water and boiled, then allowed to ferment properly. Various additives that improved the taste of the drink were added to the mead. In our days, this drink is no longer made. Braga had been known in Moldova since the XIV century as a refreshing low-alcohol beverage. It is used at holidays and at the memorials. In medieval Moldova there were special braga brewers called bragari. The tradition of making and consumption of wine is one of the most important features of the Moldavian culture. It has very deep roots and has been passed down from generation to generation. Wine making remains one of the symbols of the Moldavian people. Among the strong alcoholic beverages are homemade vodka / moonshine (rachiu, basamak) produced from sugar beet or molasses; tsuyka - plum, apricot or pear brandy; and factory produced vodka. Vodka and wine can be homemade, as well as manufactured, but the sparkling wine and cognac (Moldavian brandy’s analog) are only manufactured. Wine and tsuyka are frequent guest on the festive tables of the Moldavian families. Beer can also be mentioned as a type of drink. As a matter of fact, it’s not traditional for the Moldavians, and it was not included in farmers menu, but now beer is widely used. Among other things, wine, wine distillate, and tsuyka were used as medicine. For example, izvar, hot wine with honey and black pepper, is an excellent cold remedy during winter time. The wine was and still is the national drink of the Moldavians; it’s their pride, and an integral part of the spirituality of the nation. People's need for water has caused an emergence of a particular profession - well builders (fyntynar). These craftsmen were generously paid for their work, since it was a very difficult one. Several men were required to dig wells. In many primary sources and historical documents we come across evidences of the Moldavians’ special attention to the water quality; these sources say that water in Moldova is pleasant to drink and deserves deference. So it makes sense that there is still a lot of talk today about the need of conserving water and preventing its pollution. Local residents, especially city dwellers, began to buy carbonated or non-carbonated bottled water. Many Moldavian enterprises are involved in its production. 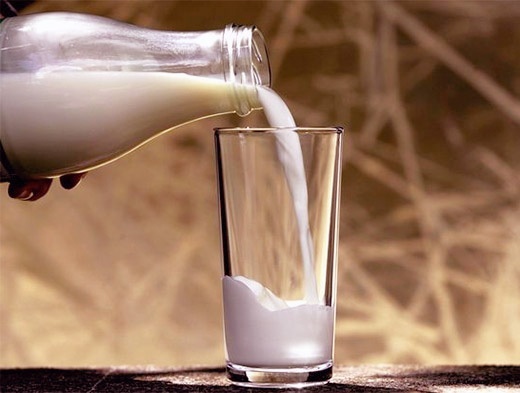 The Moldavians have always used milk and milk products for food or as a drink. Traditional for us are fresh and baked milk, yogurt, buttermilk, fermented baked milk, etc. Nowadays the processing industry offers a wide range of milk products. On weekdays and holidays the Moldavian families drink fruit drinks made of fresh or dried fruits, grapes, berries, and also grape, tomato and fruit juices. Fruit drinks and juices are homemade, and a lot of them are also made at the Moldavian enterprises. According to studies, the Moldavians hardly used tea from tea leaves. In the earlier times, in case of a sickness, an herbal tea was brewed from chamomile, mint, goatweed, etc. or from twigs of cherry, raspberry, currant. The traditional Chinese tea appeared in our use later. Also in recent decades the coffee consumption began to spread out. Tea and coffee are served in the most urban families and in the homes of young rural residents. Among these drinks are must, kvass, braga, cherry brandy, raspberry liqueur. Braga has been known in Moldova since the XIV century; it is used at holidays and at the memorials. There were special braga brewers called bragari, who prepared braga for the Moldavian medieval trading. Made of dried fruit or rye bread, kvass was well known to the residents of Moldova since early days. An original drink, similar to kvass and made from marc, is produced in the central part of Moldova. Marc is put to the barrel, some water is added and the barrel is tightly closed. At spring it is opened, and a nice drink with a small proportion of alcohol is ready for use. The beer is made exclusively at the factories; these days the number of its fans is increasing. Brandy is made from cherries, raspberries, gooseberries; berries are interspersed with sugar, put in jars and exposed to the sun to ferment. After a while vodka or alcohol is added to jars to stop fermentation and increase the strength of the drink. Homemade alcoholic beverages, such as wine, mead, and later “rachiu” (Moonshine) (pure as well as with different fruit and herbal syrups) are known since ancient times. The centuries-old tradition of vine cultivation has not changed much. Archaeological excavations in Moldova show that local people grew grapes since ancient times. Many documents and monographs tell about the landlords’ enormous vineyards with European (French in particular) grape varieties. The wine was one of the leading Moldavian export items. Dimitriy Cantemir (1673-1723) in his “Description of Moldova” points out that in the XVIII century the Moldavian wines were in great demand among Russian and Polish merchants. Wine was kept and transported in oak barrels, which allowed the drink to be stored for a long time. The Moldavian oak wood was highly valued for its quality and resistance to a wormhole. Depending on climate conditions, Moldova is divided into four zones, each with a different number of vineyards. The first zone is called Codri (center); about 50% of the vineyards of Moldova are concentrated there; south zone, famous for its red wines comparable in quality with wines from the Bordeaux region (France); the south-eastern zone, located along the right bank of the Dniester; the northern zone, where less grapes are grown because clusters sometimes do not have time to ripen. The Moldavian wines are divided into several categories: brut (vinuri brute), table wines of higher quality, table wines for everyday drinking, and sparkling wine. Also wines are defined by color (white, red, pink) and by quality – wines for everyday use (immature and ordinary wine) and the highest grade wines (aged, vintage, collectible). Wines are distinguished by technology - natural and special (produced using special products). In households wine is made using the old-fashioned way, while the wineries use the modern methods. The production and consumption of wine is an essential part of the Moldavian culture. A good master was supposed to have in his cellar a few barrels of wine. This approach was dictated by the tradition rooted in centuries, and it still remains an important sign of a good household. In the old days girls did not marry boys, until the latter learned how to grow wheat, grapes and make wine. Our ancestors also believed that until you did not help your children settle and provide them with their own housing, you have no right to drink a lot of wine - only in small quantities to quench the thirst. This principle is still applicable to the Moldavians: a glass of wine after work or during a holiday is considered to be normal. Old chronicles and documents of the Moldovan rulers mention the quantities of the alcohol consumed. For example, there is much evidence that in the past the Moldavians celebrated wedding having a “gallon” (3-4-liter bottle) of homemade vodka, which was poured into cups with a capacity of 10-12 milliliters. Wine quality can be fully appraised only when it is served in a special atmosphere, for example, in the coolness of a cellar, where men used to meet for a glass of wine in the summer during the heat. In the past, during the field work people drank wine and ate bread thus replacing the usual meal. Izvar - hot wine with honey and pepper – was used for warming in winter or for treating colds. Golden drinking law is formulated in sayings: “Sip, but do not drink”, “Drink as long as you get pleasure”, “Drink so that you control the wine and not vice versa”. 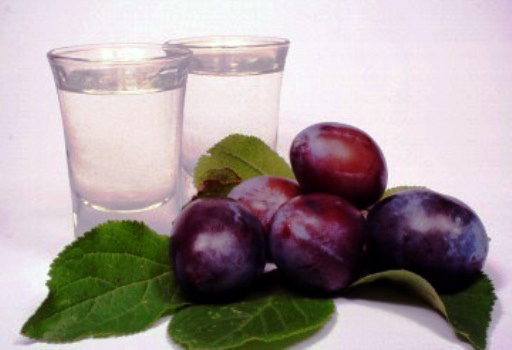 Among the Moldavian strong alcoholic beverages there can be distinguished moonshine (rachiu) made from sugar beets and molasses; tsuyku from plums, apricots, pears; manufactured vodka. The Moldavians also have mastered the technology of preparing homemade strong alcoholic drinks from wine. The XVII century sources mention the special masters, engaged in the production of alcohol (rakier). Among the Moldavian manufactured strong drinks are divin (cognac), brandy, a strong alcoholic drink made from grapes, calvados (merishor), and fruit vodka. Rural residents made tsuyka, as well as moonshine from sugar and fruit. Talking about the role of beverages in rituals, it must be said that water took a special place in the ancient rituals; it was considered a symbol of life and death. It accompanied a person throughout all his/her life, from birth to death. Every ritual action had magical significance, dating back to ancient times. As part of rituals, holy water (agyasme) was widely used for the consecration of people, households, objects, and in different spells. Dimitriy Cantemir in his “Description of Moldova” also mentioned spells with water. The author tells of an incident in his parents’ house, when the horse and its owner had been healed from snake’s bite with the help of “holy water” brought from the source. There were ceremonies that involved cleansing by the water: baptism, welcoming the bride by parents-in-law, washing the dead, etc. Wine also often appeared in family customs. It was consumed at weddings, christenings, funerals and memorials. The Orthodox Church also uses wine in their rituals. In particular, wine of the highest quality was used for the communions. Some even believed that it was of divine origin. At spring for the May Day (called Arminden by common folks), the owners opened the barrels and drank wine spiced with tarragon believing that it will help get rid of bad luck. Non-alcoholic drinks (water, milk, tea) as well as alcoholic ones (wine, vodka) were used in folk medicine; they were believed to have healing, magical power. Prior to the medicines’ appearance in peasants’ houses, wine and wine distillates were used for compresses. For the treatment of digestive diseases our grandparents resorted to red wine and wine, infused with wormwood, mint, goatweed, and gooseberry. A hot wine with honey and spices was a remedy taken at the first signs of cold or flu. Legend tells that in the XVIII century, Gregory Ghica, the ruler of Moldova, became ill. An old man brought him to the village of Rud, treating him with grapes and wine for months. In gratitude for his healing, the ruler ordered the Rud monastery (1777) to be built on the Dniester. Nowadays health resorts in Kamenka, Călăraşi, Vorniceni, Vadul-lui-Voda, and Cahul use wine and must in the treatment of the patients. It has been proved that they help slow the aging process in human organism. Wine is considered an elixir of love and youth. Nowadays Moldova pays special attention to viticulture, winemaking, and brandy and vodka manufacturing. The Moldavian wines are well known outside the country for their taste; this drink is considered an important export product. It is a known fact that Elizabeth II, the Queen of England, annually ordered wine from Purcari for the receptions organized at Regal Court. Moldova, as many other countries, features a feast of grape harvest. It is celebrated in many families, and it has become a tradition to sample must and new wine during this holiday. For a number of years our country holds a festival of wine, with winemakers from around the country. Small rural winemakers are represented on a much smaller scale. So-called “Wine Route”, which covers the central and southern Moldavian routes, has been specially developed for tourists. We can confidently say that wine, along with other national culture elements, is the hallmark of Moldova. Wine cellars, underground cities in Cricovo, Milestii Mici and in other places are all comprise the wealth of the country; they are yet another confirmation that wine was and will be the national drink, a vital part of the Moldavian life.